Basement Waterproofing Internal/Inside. There are several products on the market which are promoted for basement waterproofing inside / interior the home. Generally, these products can be described as waterproof coatings and coverings. Coatings may consist of a high grade of waterproof paint (with or without a texturing ingredient), waterproof plaster, or waterproof cement products. A separate product category consists of special floor / wall coverings which are designed to control and channel seepage. Coverings consist of either tiles or sheet materials. 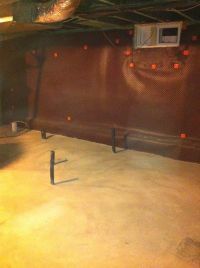 Basement waterproofing inside, using coatings, works well where condensation is the main source of wetness. It is also quite effective if the problem is minor dampness. Major leaks can’t usually be handled by inside coatings. In such cases, if outside waterproofing has been ruled out, your best inside basement waterproofing solution will probably be sheet or tile coverings which conceal drainage structures to carry the water out and drain it from the home. 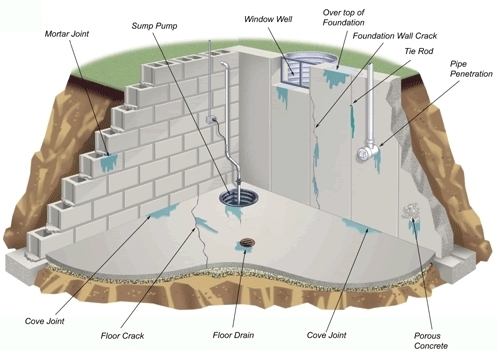 Are you considering basement waterproofing interior / inside the home? The first step to effective waterproofing is to identify the source of the water. In most cases, it is feasible to interrupt the flow of water before it reaches the basement walls. This (waterproofing outside) is always the preferred approach to basement waterproofing. Having stated this, we must recognize that on some occasions, circumstances may prevent the ideal solution from being possible. In such cases, basement waterproofing inside may be the only option. Basement waterproofing interior / inside may not be an accurate description of the process. When water penetration cannot be prevented, the best solution may be to install floor tile with built in water channels on the underside. These channels are used to direct the water to fixed drainage structures. A similar method may be used on weeping walls. Actually, such “waterproofing” might more accurately be referred to as “water containment”. When properly executed, waterproof coverings can transform a damp, useless space into a useful, livable room. Basement waterproofing, inside, is worthy of your consideration. Before spending money on basement waterproofing inside the basement, you should consult with an experienced basement waterproofing contractor. Ask whether they guarantee their work. Don’t risk hiring them if they decline to guarantee basement waterproofing inside. 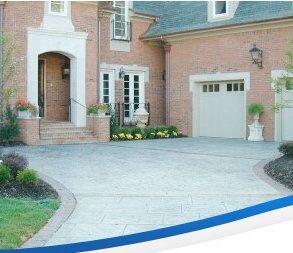 When basement waterproofing outside is impossible, basement waterproofing inside may offer a satisfactory solution to your wet basement problems. Just be certain that the work is done by a contractor who really knows his business. Above all, get a written guarantee to assure that basement waterproofing inside will provide a lasting solution to your problems.